Well, it's been a week since our newest sweet grandbaby arrived. 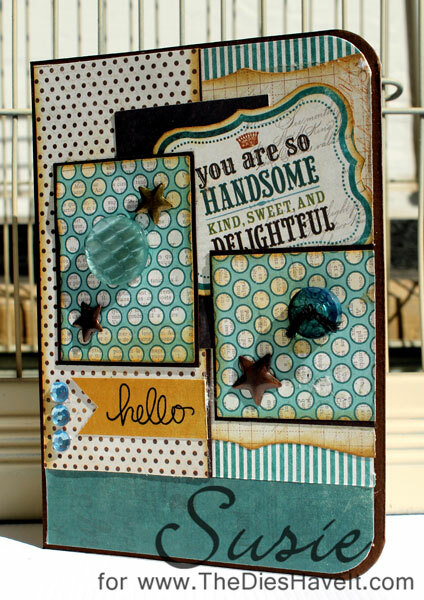 Andrew is doing great and he inspired this card with his handsome little face. I love all the paper layers on this card. I just added and added layers until I liked the final result. I really do enjoy just grabbing scraps and seeing what I can make. The buttons on this card are vintage ones I've been collecting and the star brads are from Eyelet Outlet. If you haven't checked them out lately, you should. You won't believe all the great products they have. 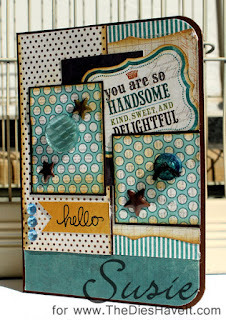 I'll be right back here tomorrow with a Cupcake Inspirations challenge card for you.